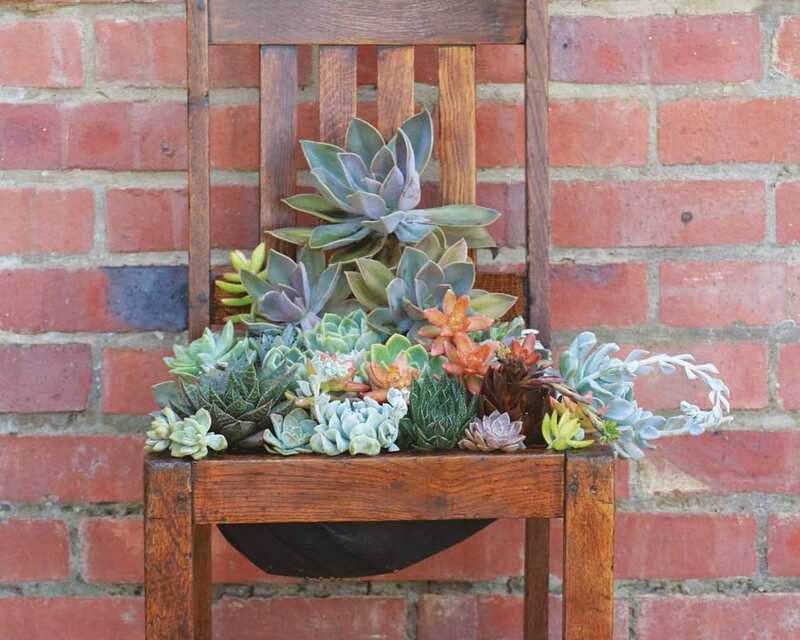 A retired old chair can be refashioned into a great planter with some easy steps and a love of succulents. Make a soil mix with ½ potting soil, ½ palm peat, a handful of organic fertiliser pellets and a handful of bonemeal or superphosphate. Cut a piece of fabric bigger than the cavity of the seat and press it into the cavity, to create a planting hole. Don’t trim the fabric, but first staple it to the inside of the frame. Cut away the excess once you are sure it’s secure. Fill the cavity halfway with the enriched soil mix. 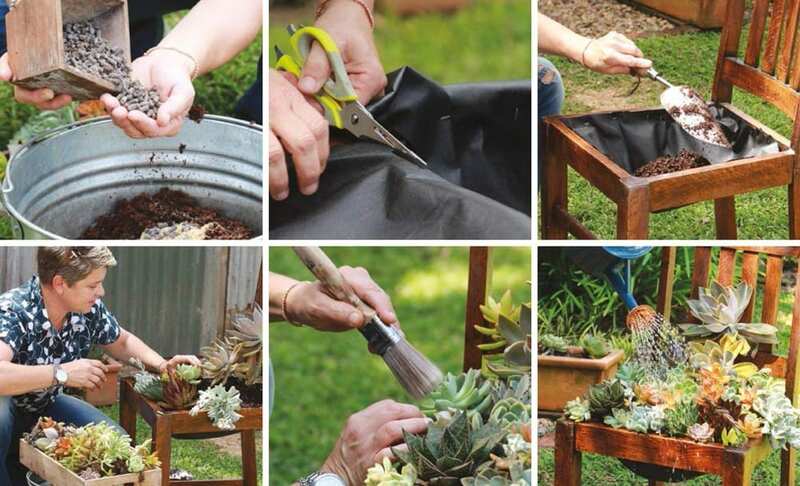 Start planting the succulents, placing the larger ones towards the back and flowing off the sides. Mould the soil as you go, so the design you create is not flat. When all the spaces are filled, dust off the plants with a dry paintbrush and water well. This entry was posted in DIY, Gardening, Gardening Trends & Inspiration. Bookmark the permalink.